The owner, saddle fitter and woman in charge of Fine Used Saddles, Patricia Cooper, has loved horses from the very moment she learned of their magical existence. 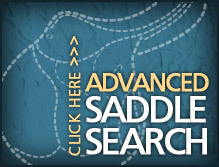 Now headquartered in northern Virginia, Fine Used Saddles sprouted in Houston, Texas in early 2006. It all started when Patricia was looking for a Dressage saddle to fit her newly purchased dark and handsome, "Carlito." Armed with the conviction that proper fit is important, she embarked on a frustrating quest buying used saddles online. These saddles purchased online from various individuals had usually been poorly photographed and / or incorrectly described in some way, and thus were ultimately not a fit for Patricia or Mr. Carlito. Patricia turned to her background in graphic design and photography along with her drive and somewhat obsessive attention to detail to improve on all of these things as a seller. She detailed, refurbished, carefully advertised and turned around these ill-fitting saddles for a small profit, moving them on to better homes where they could be not only used but loved. It wasn't long before Patricia was buying saddles she KNEW wouldn't fit poor Carlito, and her little side project grew into something bigger.Patricia began taking consignments in late 2007 and made the leap from her full time job with saddles on the side to strictly selling saddles and maintaining fine-used-saddles.com in July of 2008. Ultimately, she transformed her love for horses and care for their well-being into a more than full time business. These days FUS carries second hand saddles almost exclusively on a consignment basis. Patricia also re-flocks and fits saddles long distance and in person along with being a retailer and fitter for new custom WOW Saddles. 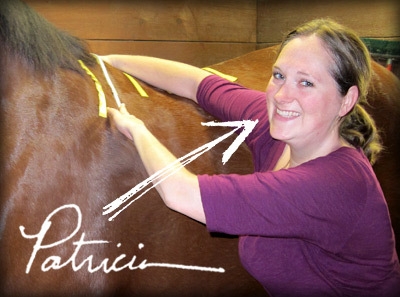 Patricia has learned extensively about saddle fitting through clinics, lectures and studies abroad in England with two master saddlers, but most importantly through nearly 10 years of careful experience evaluating saddle fit long distance and on site. Combine this with caring (perhaps too much), a keen eye and obsessive attention to detail and you have a winning combination for you and your horse. Patricia works with riders and horses everywhere from her home state of Texas to her current location in Leesburg, Virginia, all across North America to distant lands as far away as Australia and Japan. 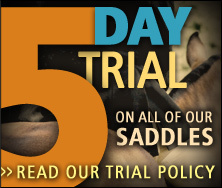 Do you need a new saddle? Perhaps a new-to-you-saddle? Are you not sure? Could your current saddle possibly be re-fit or re-balanced? Let Patricia help. 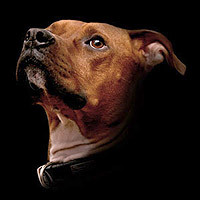 Bruno is our regal mascot, guardian of saddles and all things leather. 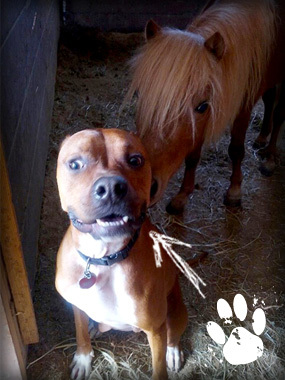 He is mostly Boxer with a little Staffordshire Terrier. We can't help but love his adorable little 70 pound self to bits - kibbles and bits and bits and bits. We have been working on training him to become our official letter licker but so far we have just gotten shredded checks, torn letters and soggy envelopes. Don't worry though; We know he has got a long way to go.